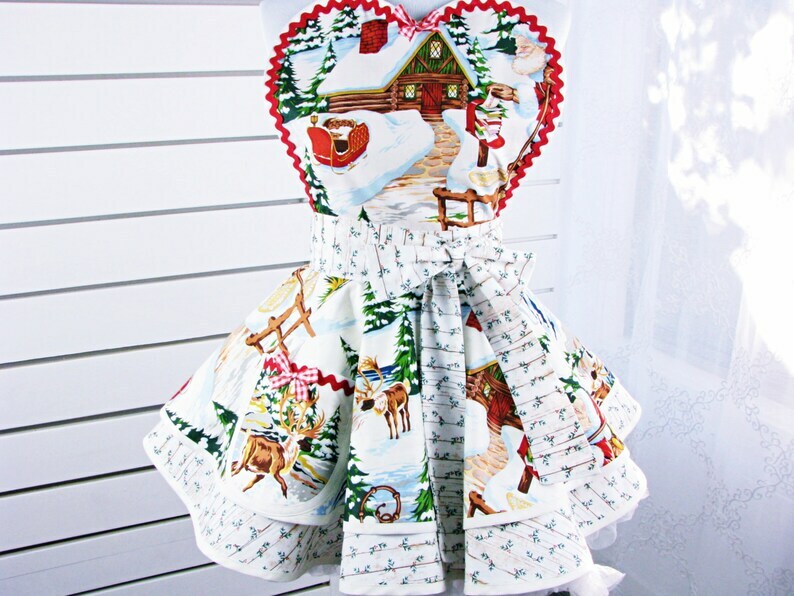 A super retro and cute Santa Claus in the woods fabric- there are snowy trees and reindeer, and a rustic cabin. So pretty and adorable. This fabric is by Alexander Henry. The apron is trimmed and contrasted with light dove grey, red ric rac, and a waistband and underskirt of wood-look rustic white with holly berries scattered. Quick delivery and looks just like the photos. It’s perfect!